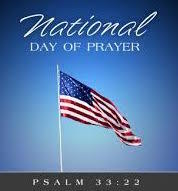 Whereas, the Senate of the United States, devoutly recognizing the Supreme Authority and just Government of Almighty God, in all the affairs of men and of nations, has, by a resolution, requested the President to designate and set apart a day for National prayer and humiliation. And whereas it is the duty of nations as well as of men, to own their dependence upon the overruling power of God, to confess their sins and transgressions in humble sorrow, yet with assured hope that genuine repentance will lead to mercy and pardon; and to recognize the sublime truth, announced in the Holy Scriptures and proven by all history that those nations only are blessed whose God is the Lord. Now read Psalm 33:12-22 and James 4:6. Pray that God helps you be a humble leader. This entry was posted on Wednesday, May 3rd, 2017 at 5:07 am	and tagged with Almighty God, authority, humility, national day of prayer, nations, prayer, Psalms and posted in Demonstrate Core Values. You can follow any responses to this entry through the RSS 2.0 feed.